You may recall that back in February I left my extremely stressful full time job to find something part time to spend more time with my children. Although I knew this was right for me, and that I had to leave for my mental wellbeing and for the sake of my children (they’d almost forgotten who I was from lack of seeing them), it’s sometimes hard to leave a job not because of the role, but because of the people. And that was the case when it came to this job. I ended up detesting the job itself, but I loved the girls I worked in the office with and I knew I would really miss them as the long hours and stressful times had brought us closer together. Despite this, I hadn’t actually seen the girls since I left and when a catch up was suggested I jumped at the chance. 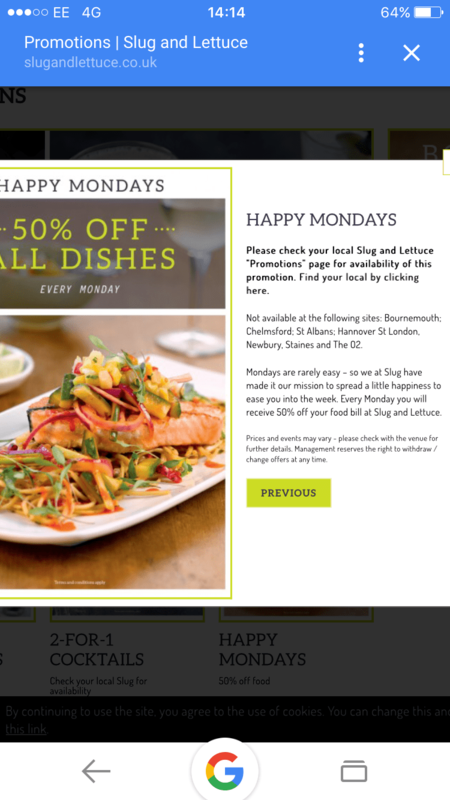 We went to The Slug and Lettuce because of the 50% off food on a Monday deal, only to discover this was no longer available at the Bournemouth branch, which was a little sad. The good news was that the whole place had had a refurb and looked really plush and inviting. The menu has had an overhaul as well and I was happy to see some options I love on the new menu. 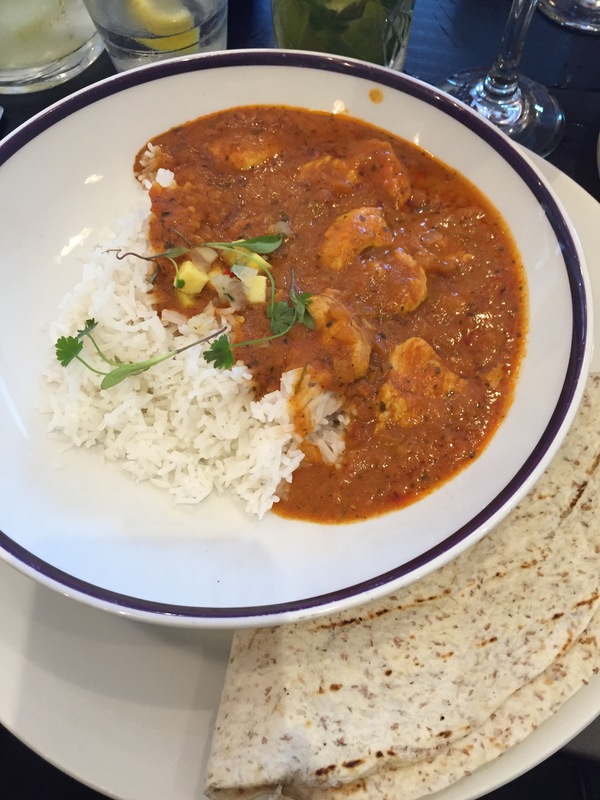 I went for a classic chicken tikka masala, which was delicious and didn’t leave me feeling too stuffed, which is always nice. Although we didn’t get the 50% off, the other girls did take advantage of the 2 for 1 cocktail deal (I was incredibly jealous with my iced water with lemon). I had a lovely evening catching up with all the work gossip and discussing baby salad, pregnancy and wedding plans. I will definitely be going back for more as I saw a few different things I want to try. We didn’t make it to dessert but the desserts were buy one get one free so I’ll need to try them next time too. Definitely one to visit when you’re next in town looking for a good place to eat.